There’s certainly a good deal of chatter regarding the heavyweight division going on. First we hear, again, how there is a strong chance former champ Wladimir Klitschko will come back this year (Steve Bunce, as per BBC Sport, said he has heard whispers Wladimir will come back to fight “A big British heavyweight” this spring) and then Dillian Whyte confirms that he has received an offer to fight Anthony Joshua on April 13th. But, as he said to talkSPORT, the offer Whyte has received is far from good, in fact Whyte has referred to the offer as “ridiculous,” adding how the money is “less than I was paid for the Dereck Chisora fight.” Whyte very much wants to get a world title shot and a chance at revenge against AJ, but he wants to be paid what he deserves. Maybe Whyte should be having a word with his promoter Eddie Hearn, who of course also looks after AJ. If Whyte has been presented with a low-ball offer for the April fight, surely Hearn knows all about it and the logic behind it. Whyte does deserve better. But what about those Klitschko rumours? Whyte said he’d fight Wladimir no problem. Just why Klitschko would return to fight Whyte is anyone’s guess. One would think only a big world title fight would tempt the 42 year old out of retirement. Still, stranger things have happened. 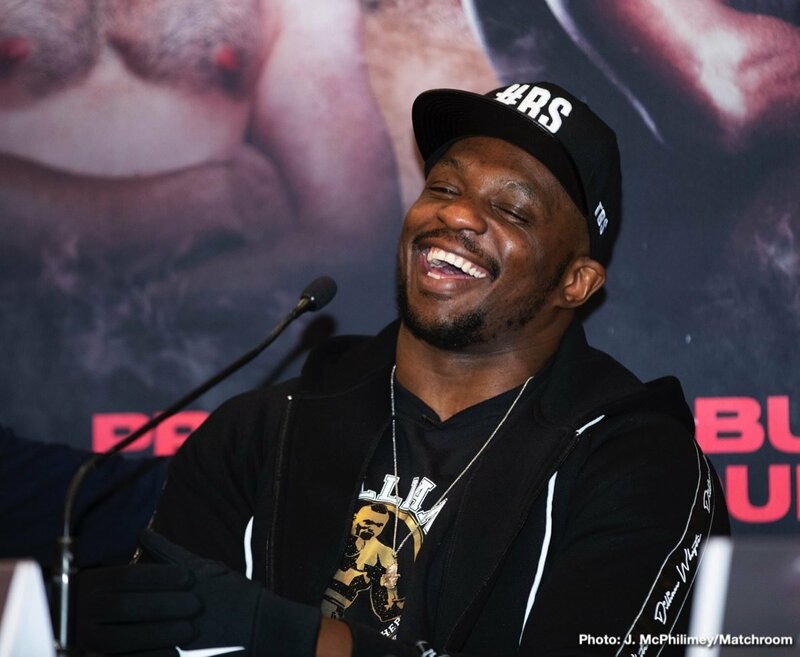 Might it be that Joshua fights Jarrell Miller in New York and Whyte faces a returning Klitschko at Wembley – both on April 13th! What a night that would be.